Sadly, it was a text about completing a PhD. It was interesting, though, & written with humour (which is probably the only reason I was able to finish it.) 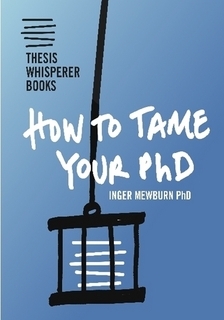 It was called How to Tame your PhD by Dr Inger Mewburn and it’s based on Mewburn’s posts from her Thesis Whisperer blog. The blog is very worth a read if you’re doing any higher degree study. 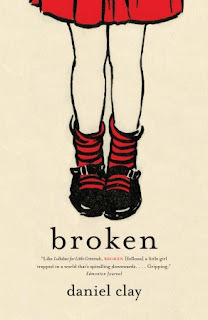 But if I’m going to go back to the last novel I read, it was Broken by Daniel Clay, a disturbingly modern take on To Kill a Mockingbird which can be tricky to do well but it was really quite awesome.